Tut #1 | Starting as Supreme. -TWC| Forum >> Public >> Tutorials >> Supreme Tutorial >> Tut #1 | Starting as Supreme. "To anyone who reads this, this thread is a tutorial thread about starting off as a newbie supreme.. based on basic teachings for a person that got newly recruited for the supremeship, its a must for every newbie supreme to get to know few things about server stuff/settings and other types of configurations to take care of within the server & members as well, once you get to know them, you will not face any difficulties and problems in the future, this will also help others to aquire knowledge about supreme's job/stuff before entering the spot. " Note That The Following Things In This Thread Has Nothing To Do With High Admins Nor Members But Only For Understanding and Learning Purpose ! After you got your supreme level and you have no idea what to do next.. well, just follow my words carefully. First of all, you should always remember that the leader spot in your level/rostor should never be empty, having a leader in a server is always important so that he/she should take your orders and spread it alongside members and high admins + keeping an eye on member's behaviour,status, promotions/demotions and the server itself, you should never lose cooperation with your server leader in order to make the server stable and active. 2nd , you will be having the full control for the server and your homeserver Section in forums, take care of it.. Always keep in MIND, Never and ever give your access to anyone or else you will be the next person to get punished & banned forever ! Coming To The Basic Points ! ~ What is FTP ? 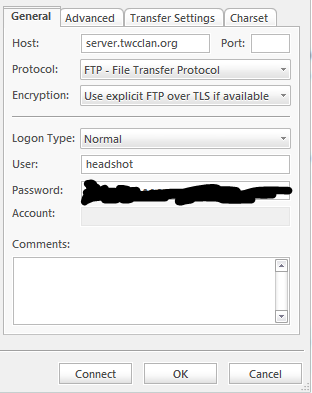 File Transfer Protocol (FTP) is a standard network protocol used to transfer computer files between a client and server on a computer network. FTP is built on a client-server model architecture and uses separate control and data connections between the client and the server. ~ What does it do ? Transfers Files into the server such as maps,mods,bot waypoints and configs, commands ETC. Simple Example: Inserting/Removing/Editing files like .pk3 or .cfg from the server . ~ How to use it ? As for me i run jaymod server so i have the jaymod folder in my ftp. 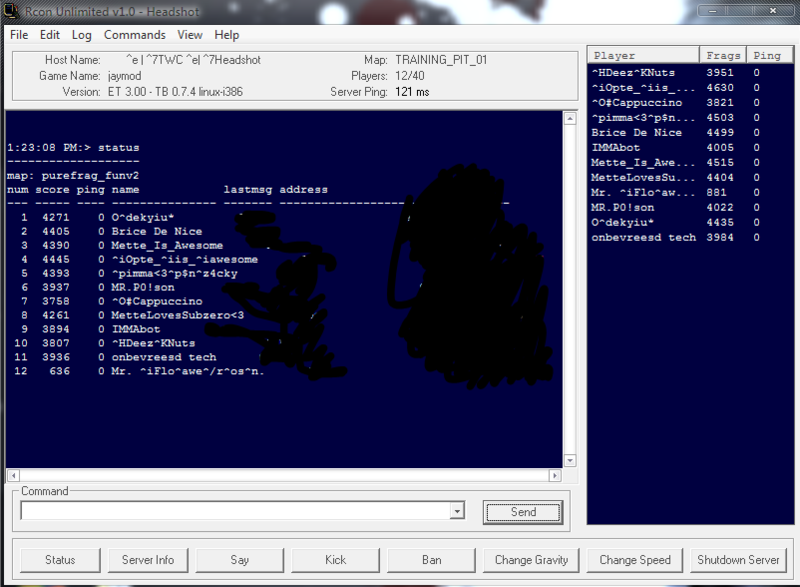 etmain -> Uploading maps, editing server.cfg etc. jaymod -> Command files, map cycle files,chatlogs, .xml files, mod files, and ofc alot of files that are available to edit such as the level systems etc, all types of config files located in jaymod folder. omnibot -> Waypoint files(files for bots to move in maps), editing bot names & their difficulty levels etc. As for pb file, you dont have to touch or do anything with it, i recommend you not to touch the config or .cfg files unless you do know what you are doing..
~ How do i get in the FTP ? SideNote: You cannot edit .pk3 files inside the ftp, you need to take them out and edit them in your desktop and upload them back.. everytime you upload stuff in etmain, people from the server will also connect and download the stuff too. Once again .. I recommend you Not to Touch/Edit the config or .cfg files before learning on how to use & edit them unless you know you dont want to make a fuss in your server. ~ What is Rcon ? 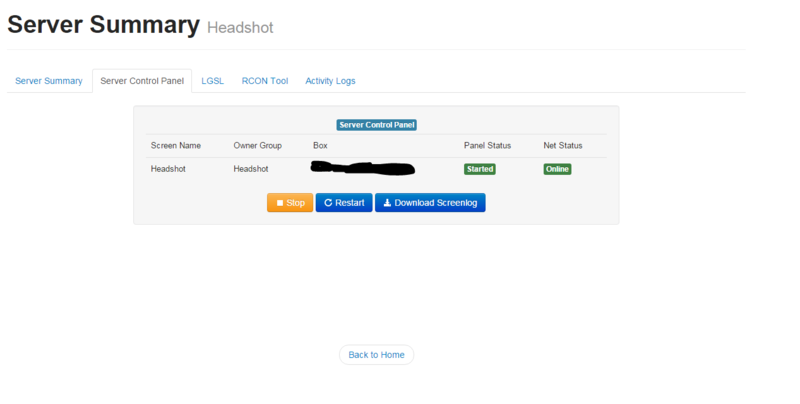 Rcon is a type of remote control client which you can execute several commands without even entering the server. 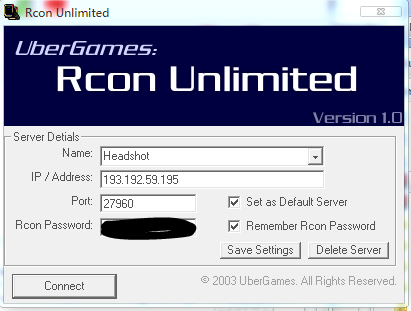 This program is designed to be the replacement of server Rcon Commands, giving you many more options and abilities. It helps you to execute commands to the server and you can add greeting sounds or edit user information of that particular player, you can promote/demote, server restart and execute cfgs and also mainly helpful for banning players through ip or guid + you can replace or add commands with the help of this rcon tool and further there's alot more. The same way you're using commands in the server, for example: !help / !kick etc. But however, there are certain custom commands that you actually dont know are located in the rcon tool, You can see it by clicking the "View" Tab and clicking on "Commands List", therefore a text file will pop up, listing all commands that works in rcon. There is also "variable's list" , its a list of cvar commands for changing stuff's in the server like Double jump, Miscs, Spawn timing etc, but i dont recommend you using it or changing some things in it Unless you know what you are doing. ~ How do i enter Rcon Client ? SideNote: You can also use rcon in-game but i dont recommend you using it ingame due to security reasons, better use it from client itself. ~ What is Server Control Panel ? Its nothing but only showing you the specific settings and stuff that are actually active on the server, basically Server's Status and Statistics. It is mainly helpful for full reboot or shutting down the server and also shows you the results for server activity(not players activity) . P.S: rcon doesnt reboot the server fully, only restarts the server when cfgs are executed. The usage for this is to only reboot or shutdown the server through Server Control Panel. ~ How do i enter the Server Control Panel ? Click On The Link Mentioned above this statement, probably below the requirement's statement. You will enter a login page, You Basically need to consult MST For this inorder to make an account for you. then after logging in, you will find the main page for your server's status and info . Important Notice : If you are going to do big changes within the server, MSTS consultation is required and remember.. always backup the files,settings or configs to your computer before doing big/small changes to prevent loss or corruption towards the server. Thats All For Now, Thanks For Reading & Understanding ! RE: Tut #1 | Starting as Supreme.